To confirm a booking, the contract must be signed, and the deposit must be paid. A confirmation email will be enough to hold the booking for 7 days but it will not be confirmed and booked until the signed contract is received and the deposit is paid. All deposits are non-refundable. The Hirer will pay AAA INFLATABLES LTD. a non-refundable deposit of 25% to confirm the booking and must pay the remaining balance a minimum of 7 days prior to the event unless otherwise agreed. If the balance payment is not received, AAA INFLATABLES LTD. will not perform the event, but contractual obligations of payment will still apply and any amount outstanding will be pursued through the County Court if necessary. For any booking taken at short notice (3 weeks or less), full payment will be required by return. If payment is made on the day of the event, due to special circumstances, payment must be made upon arrival. If payment is not given, AAA INFLATABLES LTD. will not set up the event and contractual obligations to pay will still apply. The booking is for a set time period, noted in the contract. If the event overruns due to timing issues that are not the fault of AAA INFLATABLES LTD., any additional time will be invoiced after the event. By agreeing to these terms and conditions you are agreeing that any additional time will be paid for. Any cancellations or alterations relating to this contract must be communicated in writing/email by the Client and any alterations must also be agreed to by AAA INFLATABLES LTD. in writing/email. 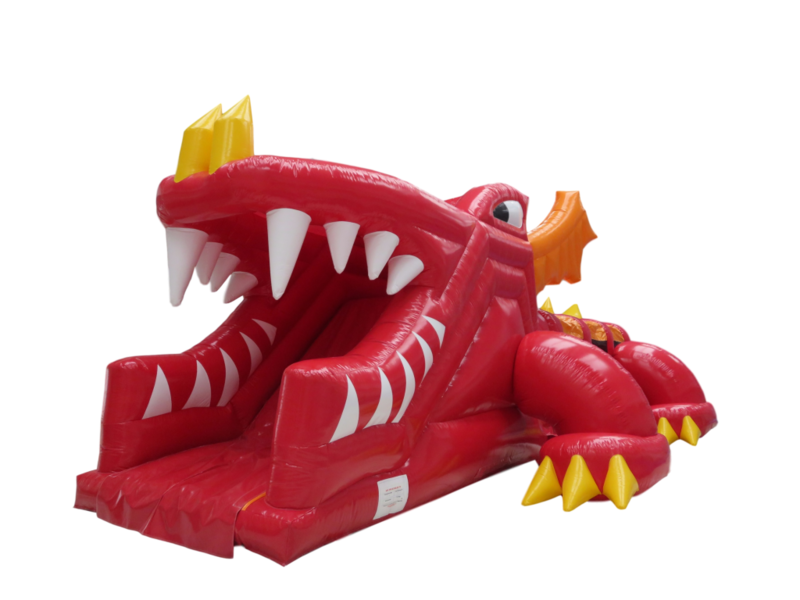 AAA INFLATABLES LTD. reserve the right to alter/ amend/substitute any item/package for any genuine reason, to the same value or greater if it is due to health and safety reasons or circumstances beyond our control. The Client will be notified of the change as soon as we are able to do so. No refunds or compensation will be offered as AAA INFLATABLES LTD. will substitute items. If no substitute is provided, the value of hiring of that piece of equipment will be refunded. In the highly unlikely event that AAA INFLATABLES LTD. cancel the event, any monies paid will be returned but no compensation will be paid. (To date, AAA INFLATABLES LTD. have never cancelled an event unless agreed with the hirer). Upon booking with us you will send us a 25% deposit of the total event cost. All cancellations must be in writing, sent by post to AAA Inflatables Ltd., Fenton Manor Farm, Fenton Road, Warboys, PE28 2SN or via email. If the event is cancelled 4 weeks before the event then your deposit is forfeited. If the event is cancelled less than 2 weeks prior to the event, then you have to pay the full cost of the event. It is very rare that we ever cancel an event, but there may be some extreme cases such as severe weather. We reserve the right to cancel if we feel that the weather conditions would put the client at a greater risk or cause severe damage to our equipment. If you do not have power i.e. a suitable electric source – generators and petrol blowers are available on request and must be booked in advance. If power is not booked it is assumed there is ample power on site for the equipment hired. If the socket is indoors, a minimum 13-amp power supply is to be supplied by the Client unless AAA INFLATABLES LTD. state otherwise. If a generator or outside electrical source is being used, this must be a 16-amp power source (if in doubt please ask). Power leads supplied by AAA INFLATABLES LTD. are approximately 20 feet, therefore, power supply needs to be within this distance from the apparatus. If it is discovered the power is not suitable the event will not proceed and no refunds will be given/contractual obligations to pay will still apply. If you are unsure, please check with the office. If you, the Client, provide the venue, it is your responsibility to ensure there is proper and safe access, parking for vehicles and enough room to set up the equipment. If AAA INFLATABLES LTD. cannot gain proper and safe access to the site, we reserve the right to withdraw our services. No refunds will be given and payment in full will be required. We can contact the venue on your behalf if you are in doubt before you sign the contract. We will be using the details you provide to enable us to safely set up your event and ensure the health and safety of our employees. We will not put employees at risk. If any of these details are incorrect and pose a Health and Safety issue, we reserve the right to withdraw our services with no refunds being given and payment in full will still be required. The Client must also ensure the ground surface is suitable for the equipment to be placed on. It is advisable to check for any underlying services e.g. water irrigation pipes etc. If it is deemed unsuitable due to Health and Safety reasons and/or would cause damage to the equipment, we reserve the right to cancel the event with no refunds being given and payment in full being required. If in doubt, please send photos of the site or site visits can be arranged which may incur an additional cost. It is our policy to conduct operations safely, protecting the Health and Safety of our employees and members of the public. AAA INFLATABLES LTD. will always have the right to refuse to allow a member of the public to use the equipment for any reason whatsoever, especially if it relates to Health and safety. Glasses are not permitted to be worn on a lot of the equipment, nor loose items, nor shoes, nor anything that is deemed inappropriate by AAA INFLATABLES LTD. staff. If AAA INFLATABLES LTD. deems a member of the public is intoxicated then they will be refused to allow to take part/use the equipment, if it is deemed they could pose a danger to themselves or others. Safety is considered first in all our activities. However, safety is everyone’s responsibility, and everyone takes part at their own risk. Any theft or malicious deliberate damage of any sort to the equipment hired will be invoiced to the Client at the cost to repair the item or if it cannot be repaired full replacement cost. If the equipment supplied by AAA INFLATABLES LTD. is to be left on site without AAA INFLATABLES LTD. supervision i.e. dry hire, the responsibility of the goods passes onto the Client on completion of set up by AAA INFLATABLES LTD. and the Client is expected to take all reasonable precautions to prevent theft or damage. Any theft or damage of any sort to the equipment hired will be invoiced to the Client at full replacement/repair cost. If AAA INFLATABLES LTD. deems that the weather conditions pose any Health and Safety risk whatsoever to whomsoever, at any point during the event, we reserve the right to shut the equipment until such a point that it is safe to resume use. If the wind reaches over 24mph, it is a health and safety requirement that we deflate some activities. No reductions in the hire cost will apply for any time lost. If the Client decides not to proceed due to weather conditions full payment must still be made/ no refunds will be given. AAA INFLATABLES LTD. will not be held responsible for any delays in setting up/removal of equipment caused by the venue/third party that are outside of our control. It is the duty of the Client to inform the venue (if the Client has supplied the venue) of setting up and de-rig times and the nature and content of the equipment to be installed, unless AAA INFLATABLES LTD. has hired the venue whereupon it is our responsibility. AAA INFLATABLES LTD. cannot be held responsible for delays caused by un-cooperative venue personnel. AAA INFLATABLES LTD. will set off to the venue location allowing ample time to set up. If there is a traffic delay due to an accident etc. we will notify the Client as soon as it is possible to do so. If a delay occurs due to AAA INFLATABLES LTD. negligence, then reimbursements will be made but will vary depending on delay but will never be more than the total hire cost. All staff being used on the day by AAA INFLATABLES LTD. will be of smart appearance. Unbranded vehicles, equipment and uniforms are available on request (subject to availability). The term “unsupervised” means there is not a member of staff from AAA INFLATABLES LTD. present at the event to operate/supervise the equipment. We do not tolerate any form of abuse towards our staff. We reserve the right to cease operating the equipment and withdraw our services if this occurs. No refunds will be given/full contractual obligations to pay will apply. This includes excessive drunken behaviour resulting in abuse. The hirer will supply food and drinks to AAA INFLATABLES LTD. staff unless previously agreed they will not with AAA INFLATABLES LTD.
All staff are entitled to breaks in accordance with the Law and/or when AAA INFLATABLES LTD. deem a break is required. This may result in an item of equipment being shut down for a short period of time. Where possible cover for the equipment will be arranged. The venue will assume responsibility for the Health and Safety of our staff whilst they are upon their premises in accordance with the Law of the Land at that time. AAA INFLATABLES LTD. will have employee and public liability insurance cover for the event, however, all participants take part entirely at their own risk. Risk assessments and insurance documents are available on request. There is no insurance cover for unsupervised or dry hire items. AAA INFLATABLES LTD. accepts no liability for any damage, loss, illness or injury resulting from this event howsoever it may have been caused, save for death or personal injury caused by its own negligence. AAA INFLATABLES LTD. accepts no liability for any illness or injury resulting from over exertion, aggravation or precipitation of any medical condition caused by participating in this event. Clients must convey that all persons participate in this event on the express understanding that it is at their own risk and participants are strongly advised to seek medical advice before participating. Clients are responsible for advising that all participants should report any accidents, incidents or instances of feeling unwell to the appointed first aiders at the time and to notify AAA INFLATABLES LTD. on the day of the event. Operators have the right to refuse the use of apparatus to any person they feel may be a hazard to themselves, other persons or equipment. It is a legal requirement that some inflatable equipment is to be deflated and rested if the generator that is powering it requires refuelling. The Client confirms their acceptance of this upon signing. The Client must ensure there is adequate first aid for the event. AAA INFLATABLES LTD. are not responsible for providing first aid to members of the public. The Client, being a school, shall assume responsibility for children at all times and ensure they behave in an appropriate manner at all times. We do take photos at events to be used for marketing purposes. If this should create an issue, please contact the office.